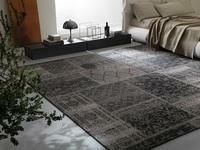 BESANA CARPET LAB, Mochete, Covoare si mochete, play mats, pe EUROPAGES. Carpets | Moquette| Runners...Always time for You! Besana Moquette, the leading company in the region, offers a truly vast range of solutions for all environments; the company manufactures fabric coverings, rugs, custom carpets, in a vast range of styles and designs, hall carpets, door mats and industrial flooring. It also supplies parquet, laminate and vinyl flooring. B-Garden, grass and artificial hedge separations.